Tannon and Christina have been leading an initiative of city transformation in Harrisburg. Come hear Tannon – you’ll be refreshed and inspired. Richie Seltzer is a fiery, passionate lover of Jesus who will encourage and compel you to press in for more of God! Join us in the Atrium for a Soup and Salad Potluck from 1-3pm. Please bring a crockpot or large bowl of your favorite soup or a scrumptious salad to serve 10-12 people! Drinks and breads will be provided. Dr. Brian Simmons is the author/translator of The Passion Translation Bible. You won’t want to miss this amazing revelatory night! Larry is the Senior Pastor of Beach Chapel in Encinitas, CA. 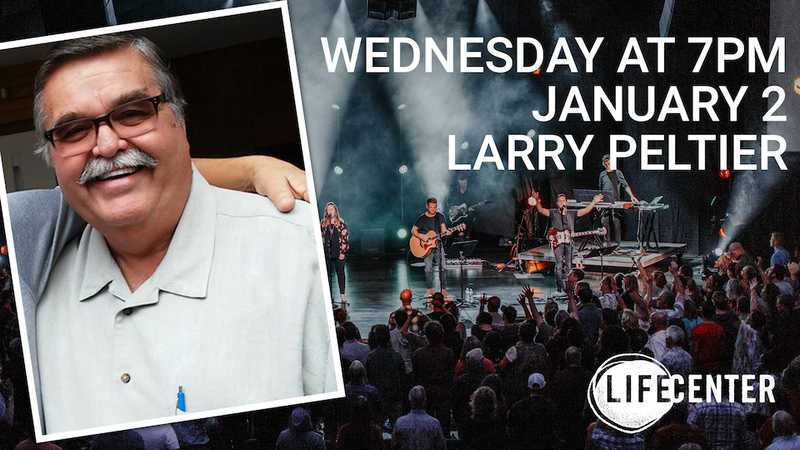 Larry has many years of experience as a pastor and evangelist. He has a true father’s heart and loves the Church! You will receive a blessing! Join us Thursday, February 28-Saturday March 2, 2019! Pre-Registration ends 2/24. You can register at the door for individual days or nights, space permitting. You’ll get a glimpse into our children’s ministry as well as a life-giving word from our Family Life Pastor, Travis Johnston! REMINDER – There will be no evening service on Wednesday, November 21.
and healings take place – come expecting a touch from God! Reinhard Hirtler is a prophetic voice to Austria, Brazil and the world! Come expecting to hear what the Lord is doing in the nations and receive a word for your life! passion is to equip, encourage and deploy church planters, pastors, missionaries, itinerant ministers and marketplace leaders to take the supernatural power of the Kingdom of God with them wherever they go, readying the church for a great harvest. Join us in the Atrium for an International Meal! Please bring a dish that represents your heritage or a family favorite to feed 10-12 people along with the name of the dish and recipe! Join us for this year’s Harvest Fest! FREE fun for the whole family – including live music! Food trucks will also be on site. See the table in the lobby for info on how to donate and volunteer! Ricardo White carries a breakthrough anointing in worship, crossing cultures and generations. He leads our ever growing worship community with a father’s heart, encouraging upcoming worship leaders and musicians to excel at their crafts and become all that God created them to be. Nathan is an integral part of Hillsong NYC. He’s a musician, worship leader, theologian, and leads the Hillsong NYC Evening College. He has a gift to teach and will bring an impartation! Don’t miss this night! This seminar will focus on empowering you to take responsibility for your life and walk in godly authority. Download a brochure to register. Heirborne Youth will be taking over the Wednesday night service! God has been encountering students continually – you will be blessed and receive a word from the Lord! DJ Has a heart for loving people, power evangelism, and city transformation. He believes that lives and cities change through love. You will be encouraged and challenged! Fill out the registration form below ($20 online deposit required at the end of the registration form to secure your spot). The deposit counts towards your total cost. The deposit is non-refundable. For financial aid, click below to fill out the registration form and give your $20 deposit to secure your spot. You will be emailed instructions for how to complete the financial aid application. No financial aid will be available after October 4. Vinny will share deep, practical wisdom for your life – you won’t want to miss it! Join Linda Forster for this Saturday morning workshop on September 8, 2018 from 8:30am-12:30pm. This workshop will teach you how trauma bonds are formed, how they get “stuck” in us, and how you can break through them to be free! Download the brochure here for more info and click here to register online! Ed Kalnins speaks with wisdom he receives from the Holy Spirit and brings an impartation of freedom and a greater awakening of God’s Kingdom purposes wherever he goes! Chris always brings an encouraging, fatherly word that will inspire and catapult you to living a victorious life! Bryan is a gifted administrator and has enthusiasm to see the next generation encounter God in a life-changing way! Matt ministers the Word in a powerful, dynamic and energetic way. His sensitivity to the Holy Spirit brings a fresh anointing as lives are transformed by the touch of God. If you are in need of healing prayer, come on Saturday, July 21 from 9am-11:30am. Contact Maryann at 717-395-9710 Ext 726 with any questions. For children going into 1st-5th grade in the fall – you can register for 1st Wave Kidz Kamp held Tuesday-Friday, July 17-20 from 9am-3pm. Register at the 1st Wave Kidz Sign-In Desk. Deadline to include a t-shirt with your registration is July 1. You’ll get a glimpse of our children’s ministry including a word from our Family Life Pastor Travis Johnston! Don’t miss this Wednesday at 7pm! Chandy Thomas always brings a fiery word that will stir your heart and provoke you to follow passion- ately after God’s heart. Following second service. There will be food available for purchase as a 1st Wave fundraiser. The premiere will take place in the Sanctuary. Have ideas and expertise you want to market? Are you being paid well to do what you love? We are bringing together a new group of people who know they have something to offer the world, but haven’t quite figured out how to do that just yet. It is so much more than a seminar on writing and publishing. It is a three day life-changer. New perspective, fire in the belly, clarity, purpose, direction, and strategy. This will be three intensive days of prophetic impartation wrapped in practical application … and the track record of success for those who accept the challenge is remarkable. Join Linda Forster for this Saturday morning workshop on June 9, 2018 from 8:30am-12:30pm. This workshop will teach you how trauma bonds are formed, how they get “stuck” in us, and how you can break through them to be free! Download the brochure here for more info and click here to register online! Men! Mark your calendars for this Friday night-Saturday event at Camp Hebron. Sign up by May 27 at the table in the lobby! Join us for this special night of “Sons and Daughters” honoring their mothers. You will be encouraged and receive impartation! Free event features “Resilience,” a one-hour documentary on trauma. You’ll learn how to understand the connection between trauma and self-destructive behavior and how teaching resilience combats the long-term effects of trauma. If you want to be water baptized, sign up at the Welcome Bar. As a prerequisite, you must attend the class offered April 22 or April 29 at 9:30am in the Jordan Room. The baptism will be held at 2pm on Sunday, May 6 in the Atrium. This seminar will help you to grow in using the gift of discernment and in walking in your God-given authority. Discernment is designed to operate through the spirit of love and empowers us to walk in divine wisdom. Don’t miss this powerful night of encounter with Heirborne Youth! A night of healing and miracles! Jeffrey flows in miraculous signs, wonders and prophetic insight!